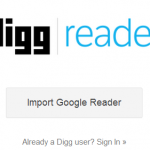 Here are 4 Google Reader alternatives now that Google has official shutdown Google Reader. Feedly has been around for ages and maintains a large number of users. It’s the most ‘like’ Google reader as an RSS aggregator. Feedly has received plenty of positive reviews. Many have praised its minimalist design and personalized interface. Feedly also has a free iOS app and Android app. Digg has created its own reader called “Digg Reader” and is an addition to its general link sharing product. Its reader is brand new so may come with some potential bugs however the killer feature is that Digg Reader lets you see what content is the most popular in your social network and ranks the popularity of articles for you. At the time of writing only an iOS app was available. 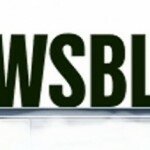 If you do a ton of online reading and don’t mind paying $2/month for the premium version then NewsBlur is the way to go. NewsBlur has a training feature that trains the RSS reader in determining what kinds of stories are likely to interest you. The free version allows 64 sites (display is limited to 10 stories at a time). Also has Android, and iOS apps. Well worth the look. Bloglovin is by far the most beautiful of these RSS readers. 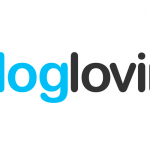 With a gorgeous interface and very simple steps to add any blog you want to follow, Bloglovin shows all their new posts in a feed. Supports both iOS and Android. There is a nice alert feature [Google Chrome browser extension] to let you know when you have unread blog posts on your reading list.